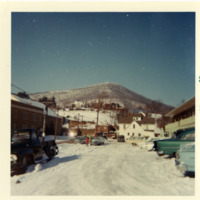 Boone, North Carolina after snowfall in January, 1966. The photograph provides a view of the town looking north from what is now College Street towards the intersection with King Street. On the far left a portion of First Baptist Church can be seen. The brick building on King Street towards the center now houses Fresh Veggies, Fruit and More; the large white house beside it is a funeral home that has since been torn down. The apartment building to the right of the photo has since been torn down, and the site now contains the parking lot for the Reich Building of Education. Howard's Knob is visible in the background. 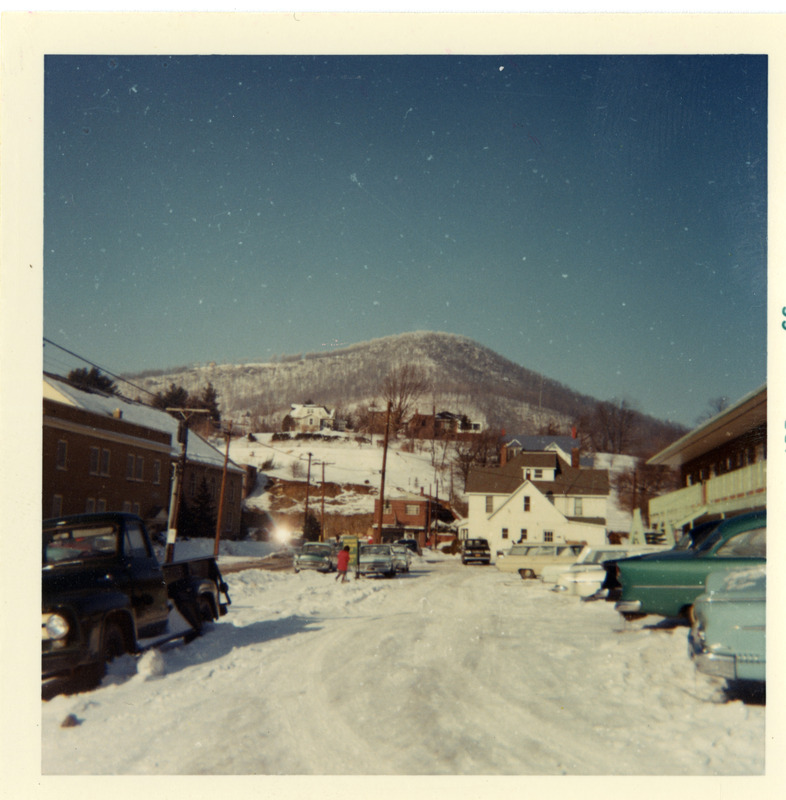 An inscription on the back of the photograph reads: "Street in Boone, N.C./ Jan, 1966. Howard's Knob in bkgd." Unknown, “January Snow, Image 6,” Digital Watauga, accessed April 25, 2019, http://digitalwatauga.org/items/show/6819.